Stay in Madeira Islands's best hotels! 17 km from Marina do Funchal, Quinta Paços do Lago is located in Funchal and provides free WiFi and a tour desk. Ana and Duarte are very welcoming and provided us with excellent advices for restaurants, visits and ideas to do the best of our trip. The location is great, calm, beautiful inside and outside. The pool was so great that the only issue what to force our daughters to leave the place during the day so that we could discover the island too :). Set in Santa Cruz, Hotel Solar Bom Jesus has free bikes, an outdoor swimming pool and a fitness centre. Boasting a 24-hour front desk, this property also has a restaurant and a terrace. Very nice rooms, clean and big. We liked the design of the hotel as well as the price. Located in Porto Santo, Pestana Ilha Dourada Hotel & Villas features an outdoor swimming pool, garden and terrace. All rooms boast a flat-screen TV with cable channels and a private bathroom. Great location, near the beach, big and cozy room, with the view to the pool and sea. Extra kind staff, they really tried to give us the best experience possible. We would definitely stay there again. Located in scenic Madeira Island, Pestana CR7 Funchal results of a partnership between Pestana Hotels and world-renowned footballer Cristiano Ronaldo. I just loved EVERYTHING !!! Superbe location, stunning view on the sea at the rooftop ! Jacuzzi at the rooftop ! Delicious food and drinks and super friendly staff ! Will come back again for sure ! The hotel Atrio is a small family run rural hotel located on the sunny south side of Madeira Island. Very beautiful garden. Superior rooms are really super. Peaceful place. Offering an outdoor pool and spa centre, Castanheiro Boutique Hotel is set in Funchal, 500 metres from Marina do Funchal. Very charming and beautiful hotel! Everything was just perfect. The staff is extremely friendly and helpful. Breakfast was super nice! Located in Jardim da Serra Village, the 5-star Hotel Quinta da Serra is in a lush green valley, 820 metres above sea-level. The hotel is cozy and quiet. It has a very good restaurant, with a great chef. It is not cheap, but it worths it. Also, there is a very good tennis field, where you may play for free. The pool is large enough to swim, not just to play in the water. Everything was great! Located on the idyllic island Madeira, Vila Bela is just 100 meters away from beach Praia da Alagoa. The view through the window was fantastic. I strongly recomend to book a room with a ocean view. Personal is nice and helpful, rooms are okay you'll find everything you need. There is a resaurant in the hotel that makes awesome food. It really feels that fish is very fresh. Featuring a house dating back to 1920, Porto Bay Serra Golf is surrounded by gardens, and provides guests with direct access to Santo da Serra Golf Course. This hotel is a small jewel in the midst of the Santo da Serra mountain in Madeira. Set on a cliff in 10 acres of subtropical gardens overlooking the Atlantic, this 5-star resort features an oceanfront spa, 3 swimming pools and direct access to oceanic waters. Very friendly, relaxed atmosphere, excellent location and staff are very helpful and try their best. From your balcony enjoy amazing views over the mountains of Santo da Serra and the luxuriant landscape with centenary trees, gardens and exotic flowers. We got a very warm welcome. The hotel is very quiet and surrounded by a beautiful garden. A secluded retreat surrounded by unspoiled forests, Eira do Serrado overlooks the Valley of the Nuns and the picturesque village of Curral das Freiras. good service, kindnes staff, very good breakfest and great location with beutifoul view. Located in Lido, just a 5-minute walk from the oceanfront promenade in Funchal, the recently refurbished Allegro Madeira offers 2 restaurants, an outdoor pool, 360º rooftop bar, spa and fitness... more than nice, very comfortable, clean .. great food..
Set within extensive gardens of various subtropical trees and a banana plantation, Quinta da Casa Branca features a boutique hotel and an elegant manor house and offers a heated pool and rooms with... Stunning architecture, wonderful garden, lovely personnel, great food. Located on the Funchal seafront, this hotel offers panoramic views over the Atlantic. It provides rooms with kitchenettes and balconies, 2 pools and a spa centre with spa bath and sauna. The location right on the sea front and next to the old town full of restaurants of every kind. Offering an outdoor pool and a restaurant, Santa Cruz Village Hotel is located in Santa Cruz. Each room here will provide you with a balcony. Great place. Excellent Value. Very friendly. Clean. Good location. Good value. Situated atop a natural peninsula, The Cliff Bay provides panoramic Atlantic Ocean views and private sea access. Very comfortable room with amazing views. Staff very friendly and professional. With Atlantic Ocean views, this hotel is only 100 metres from the natural rock pools in Porto Moniz. It has a panoramic bar overlooking the mountains, and a heated indoor pool. We loved everything in this hotel. Staff is nice and friendly! Set in lush, landscaped gardens, 5-star Quintinha São João features a spa and indoor and outdoor heated swimming pools. Overlooking central Funchal and the bay, it is 2 km from Funchal Cathedral. Food.staff helpful.surroundings. Set within tropical gardens on the Bay of Funchal, the luxurious Royal Savoy features 2 heated lagoon-style pools and private Atlantic Ocean access. The ambiance of the hotel was wonderful. Renovated in 2018, the 4-star Hotel Alto Lido is located in Funchal’s prime area – Lido, 2.5 km from the city centre. Clean, comfortable, excellent breakfast wide variety of choices. Perched on a cliff at Ponta D’Oliveira, Galo Resort Hotel Galomar offers stunning views of the Atlantic Ocean. It features direct sea access and indoor and outdoor pools. Galomar is a beautiful hotel without extravagance. Set within tropical gardens on Madeira Island, this charming guesthouse features far-reaching sea views and 2 outdoor seawater pools, one of which is heated. The location on the beach, the nice balcony, very tasteful breakfasts. Overlooking the Bay of Funchal, this well designed hotel provides luxury accommodation within Santa Caterina Park. view from poolside is superb! Breakfasts were busy but food was good. beds were very comfortable. Featuring a rooftop swimming pool, Madeira Hotel is a 3-star hotel in Funchal's city centre. It offers air-conditioned rooms, and a bar on site. It offers free WiFi access. Very friendly staff, great roof bar view, especially in the night. The location was great! This small hotel in west Madeira offers a restaurant, a bar and panoramic ocean views. It is a 5-minute walk from the beach and close to the village of Calheta. Nice hotel in a beautiful village. The staff was friendly. Everything was clean. 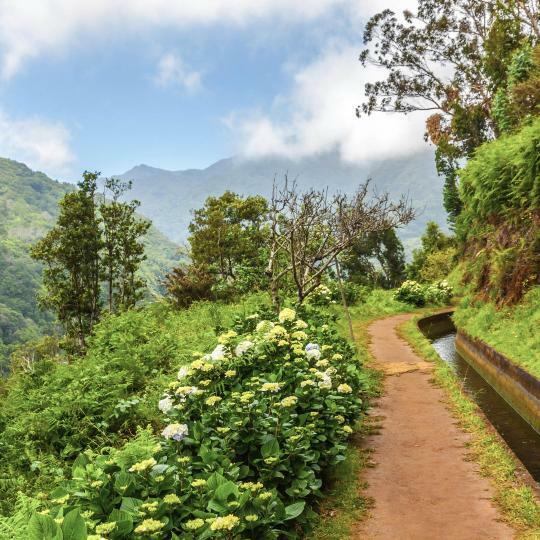 This network of irrigation channels serves as a walking path for charming-to-challenging hikes through forested countryside studded with waterfalls and lagoons. Tucked in a hidden valley, this charming village promises spectacular views of the surrounding mountainside and treats made with local chestnuts. 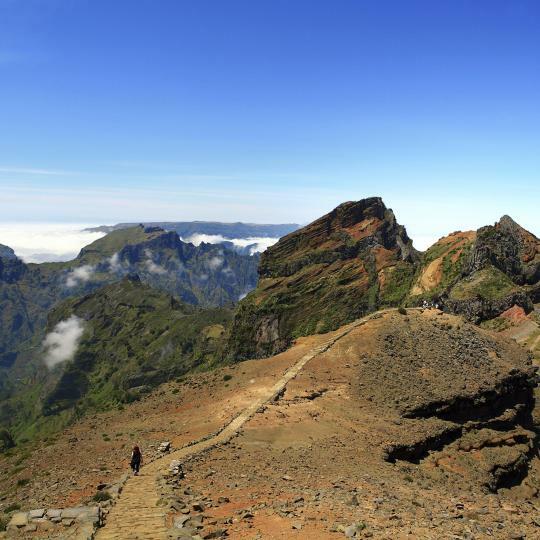 Climb to the top of Madeira’s highest peak for stunning scenery and panoramic vistas over the entire island. 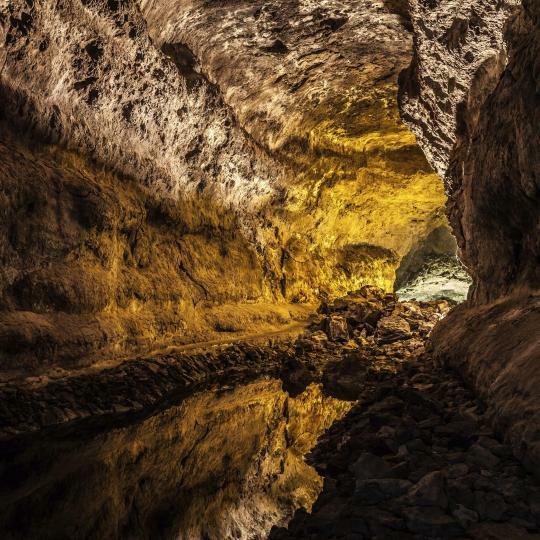 A guided tour takes visitors through a series of lava tubes formed by a volcanic eruption almost 900,000 years ago. Cape Girão is home to Europe’s highest cliff skywalk, which includes a thrilling lookout point with a glass-floored platform. 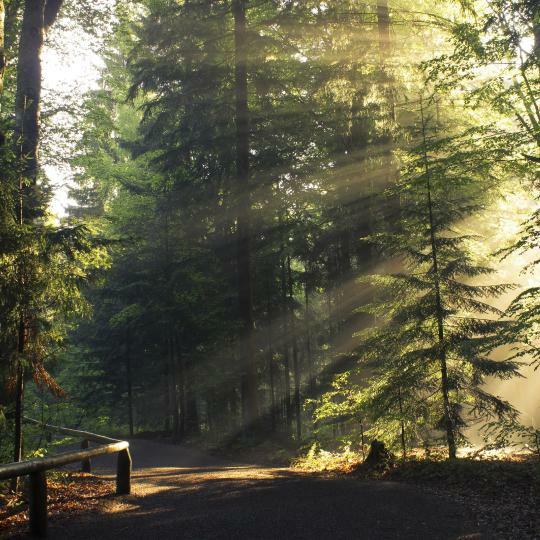 Listed as a UNESCO World Heritage Site, this bio diverse laurel forest contains a number of native plant and animal life. 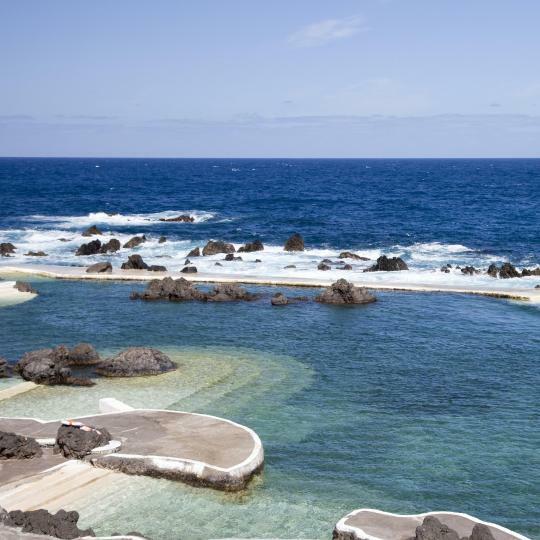 Take a refreshing dip in the crystalline waters of these natural salt-water swimming pools, formed by volcanic rock. 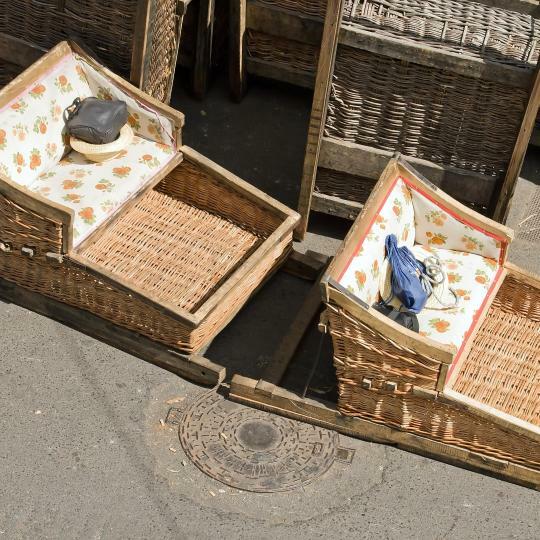 With speeds reaching 48 km per hour, these wicker sleds steered by two men provide an exhilarating ride from Monte to Funchal. 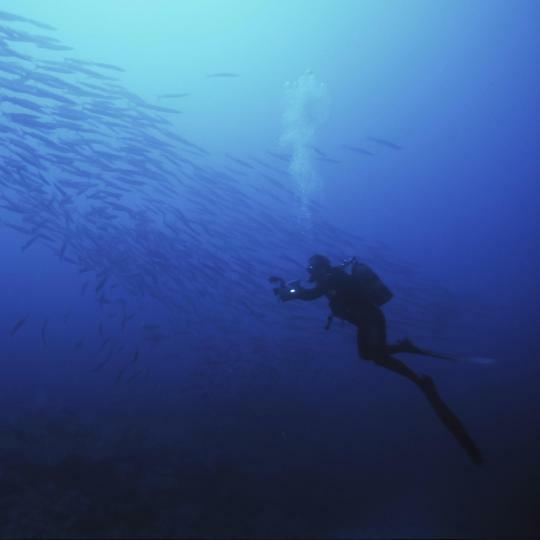 Various shipwrecks, underwater caves, several protected marine areas and vastly diverse sea life make Madeira a scuba diving haven. Granting one of Madeira’s most scenic countryside views, Serra d’Água is cloaked in green vegetation and native wild flowers. 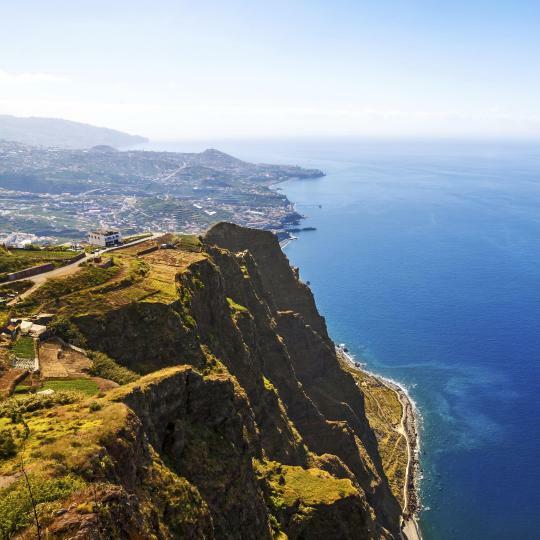 With lush landscapes, brightly coloured flowers and a mild, year-round climate, it’s easy to see why Madeira is called the ‘Island of Eternal Spring’. Its interior is mountainous, so most resorts are coastal, many at the foot of steep cliffs. One such resort is Paul do Mar, a fishing village known for whale watching and surfing, as is Jardim do Mar, on a plateau just east. Nearby Calheta has 2 white sand beaches protected by breakwaters. The main resort is the capital Funchal. 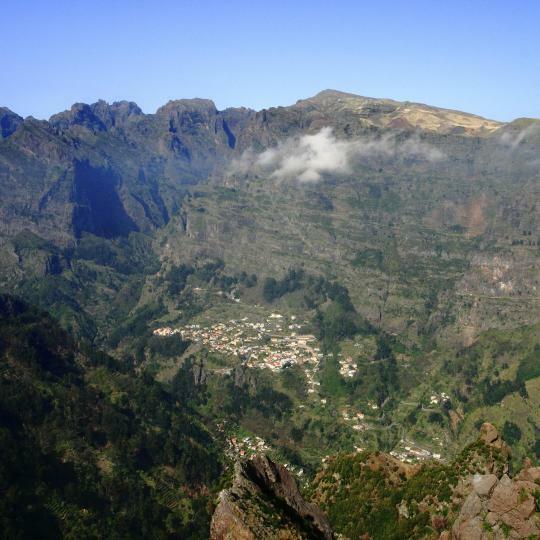 Cascading down slopes, it has the lion’s share of 5-star hotels in Madeira on Booking.com. A cable car ascending into the hills offers fantastic views towards the harbour where cruise liners and ferries from neighbouring Porto Santo island are berthed. East, Caniço’s sandy beach is nestled between rocky cliffs, while Santa Cruz is the nearest resort to Madeira Airport. Machico is the 2nd biggest city and has the best nightlife outside Funchal, but the best Madeira hotels for families are in quieter resorts such as Porto da Cruz in the north. 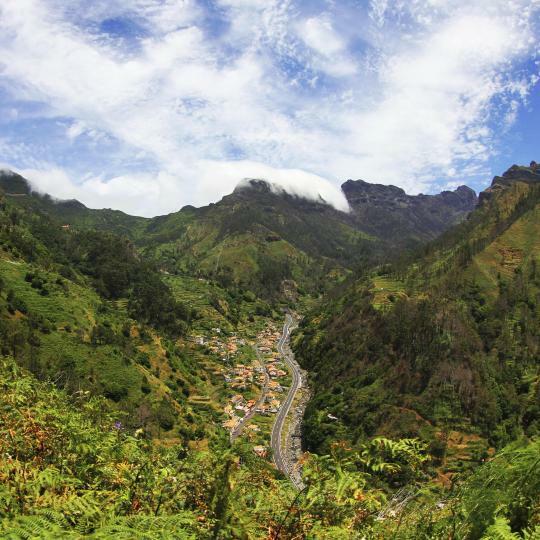 Santana is home to the triangular-shaped, thatched houses typical of the island, and twisting mountain roads lead to São Vicente, an attractive hill town with red-roofed houses. By the north-western tip is the village of Porto Moniz whose offshore rocks shelter natural rock pools. The hotel is ultra clean, staff very helpful and polite. Very friendly as well. Any complaints were attended to very quickly. The choice of pools and the Spa resort definitely a plus. Spacious room and all of the hotel is very comfortable. The gardens are well kept. Simona at reception was very helpful in choosing an activity and a spa treatment which we enjoyed very much. Appreciated regular satisfaction follow-ups from the hotel. We had a very relaxing time there. Also, as a huge cat lover I befriended two stray kittens which I fed every day and I would like to ask next guests to continue doing so and even give them a home. They are a little scared but very friendly and HUNGRY!! The location _ just far enough away from the city centre but still near enough for convenience. And the free shuttle numerous times per day. The staff were so helpful and friendly. The cleanliness was superb. Extremely comfortable beds. Breakfasts were super. Great selection of fresh fruits, meats chesses, breads etc. .and beautifully made omlettes. Lovely hotel with beautiful views over Funchal. Space to sit outside on the balcony and look over the city and the sea. The room was clean and comfortable and the staff were friendly. I would definitely recommend staying here, it was great value for money and only a 10 minute walk to the centre although be aware it is up a hill. we spend only two night in this hotel, but we liked it a lot. the room was very nicely furnitured, nice buffet breakfast, there was a possibility to play table tenis, and use their swimming pool. Very close to beach. We especialy were grateful for a great communicaton with hotel, since we messed up our reservation a little. Our 2nd time staying at this Wonderful Hotel. It is very Central, the food is Amazing. The staff are so Friendly, it's spotlessly clean and the rooms are great. There's plenty to do here on a rainy day, with the pools, gym and Games room, with different Entertainment every night. Everything! The food was fab, the location is amazing, the staff was lovely. We are definitively coming back next year! Really good value for money, and thr NYE celebrations were great too. Amazing animations for kids. The beach is very close, the food is diferente everyday and the people in hotel very friendly. Very calm place and good family holidays. Nice, clean and cosy room, good localization next to shopping center, free shutlle bus to the center of Funchal, stuff was very helpful. Very good hotel. Very comfortable room with amazing views. Staff very friendly and professional. Great ocean front with easy accesss to the sea. I loved the whole stay. The staff were very friendly and the grounds were amazing. The spacious spa was a plus. Generally it was a very relaxing time with good facilities. Good transport arrangements to the city centre. Clean, comfortable, excellent breakfast wide variety of choices. Superb! We are retuning at the end of our trip! Quiet hotel and perfect seaview.